There is a scene half-way through X-Men: Apocalypse, where the young mutants are leaving a cinema showing Return Of The Jedi, with them saying that the third film is always the weakest. 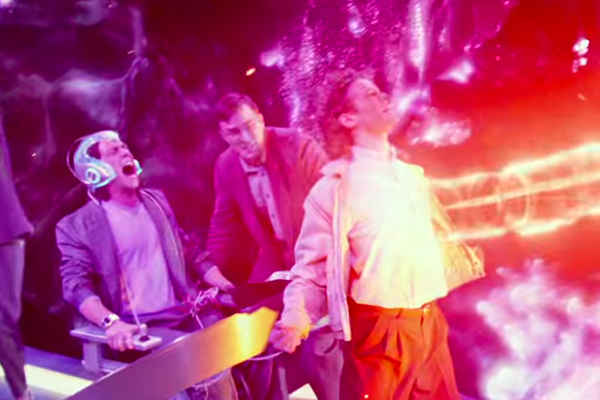 Was this a cheeky poke at the lacklustre X-Men: The Last Stand? Or a perceptive comment on the third in the prequels because compared to First Class and Days of Future Past, this is a huge disappointment that relies too heavily on spectacle rather than substance, resulting in something that is messy and disjointed. Ancient Egypt and Apocalypse, the world’s first mutant, becomes entombed. Jump forward to 1983, ten years after the events of Washington, where Magneto wrecked havoc. Eric is now in hiding in Poland with a wife and child. Charles Xavier has opened his school and is protecting those who have powers while Mystique, looked upon as a hero, is now a mercenary looking out for those who are different. Meanwhile, Apocalypse has been released from his tomb and is wanting to cause mass destruction. Recruiting four “horsemen” and having the ability to assume others powers, he is after the one that he doesn’t possess to take over the world, that of Charles. Bryan Singer’s previous prequels, First Class and Days of Future Past, worked thanks to strong storylines and character development that made the scenes in between the action even more interesting and emotional. Here there are flashes when you think, yes, we are back on form, then they have brushed aside for another overlong set piece where the special effects team are allowed to go ballistic. So when Eric performs an act of heroics that only leads to tragedy, it makes you think of the best scenes from the previous films. Yet these moments are so few and far between, being replaced by even more mass destruction that it, frankly, starts getting boring. It also suffers from being crammed with characters that appear and yet we know very little about and so we don’t care. The four recruits by Apocalypse, including Storm and Psylocke, are never given anything to explain who they are or where they came from and so seem to have very little motivation for their actions. The new mutants, Cyclops, and Nightcrawler are given brief explanation about their originals but again, they are having to fight for screen time. Everything seems contrived and very superficial. I’m not saying we need more origin stories (frankly we had enough of them). What I am saying is that we need slightly more information about them to feel any emotional connection. Without that connection, there seems to be very little punch, twists, and shocks. We should feel something towards these people. The strong card of Captain America: Civil War, is that even though we’ve been with them for a ton of movies, we are still given enough new development in the characters to make our hearts race when Steve Rogers turns to Tony Stark and says that Buck is his friend, only to have Stark retort, “so was I!” There isn’t THAT moment here and it really needed it. 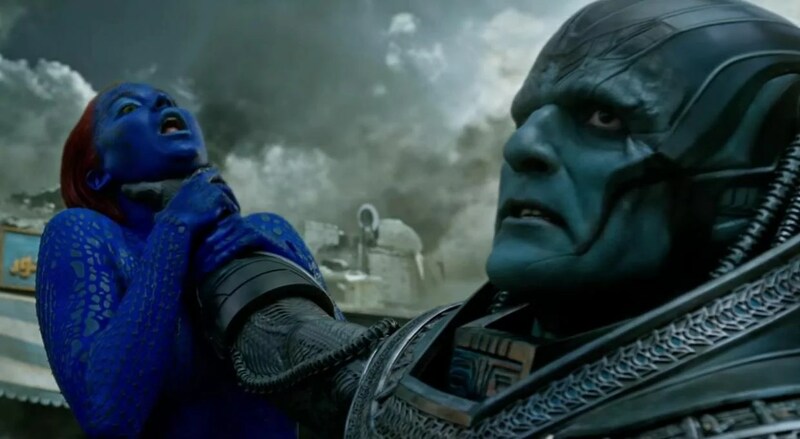 What also doesn’t help is that Apocalypse is such a weak and often cliched villain. Played by the usually excellent Oscar Isaac, he stomps around the film looking glassy-eyed but without any real meaning, just throwing his weight around with a wave of a hand or a look as if he was some cheap magician. The rest of the talented cast are left with very little to do. Jennifer Lawrence wanders around spouting words of wisdom as if he was still playing Katniss from The Hunger Games, while only newcomer Sophie Turner as Jean Grey, really makes any impression. 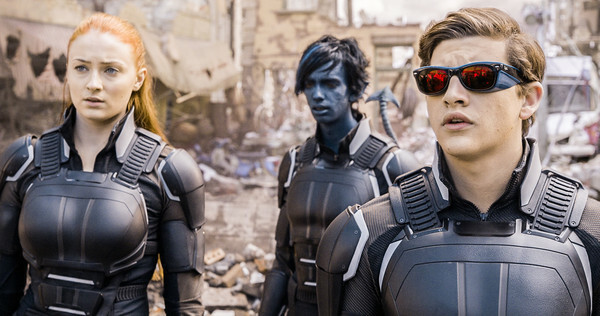 The X-Men films have always been about being different and standing out from the crowd and while not as terrible as Fantastic Four or Batman V Superman, it feels like it’s languishing behind the rest of the Marvel superhero movies. When you consider that Bryan Singer virtually invented the superhero movie with the original X-Men, you are expecting so much more than on offer here. Maybe that’s the problem: we have come to expect so much from the mutants that they can no longer deliver. Or maybe it’s a case of familiarity is starting to breed contempt. Either way, the X-Men have to find a new direction if they are to survive an otherwise packed and getting fuller genre. If you like things being destroyed, then you will lap this up. If you are looking for drama and suspense and excitement, I’d advise you to look elsewhere.